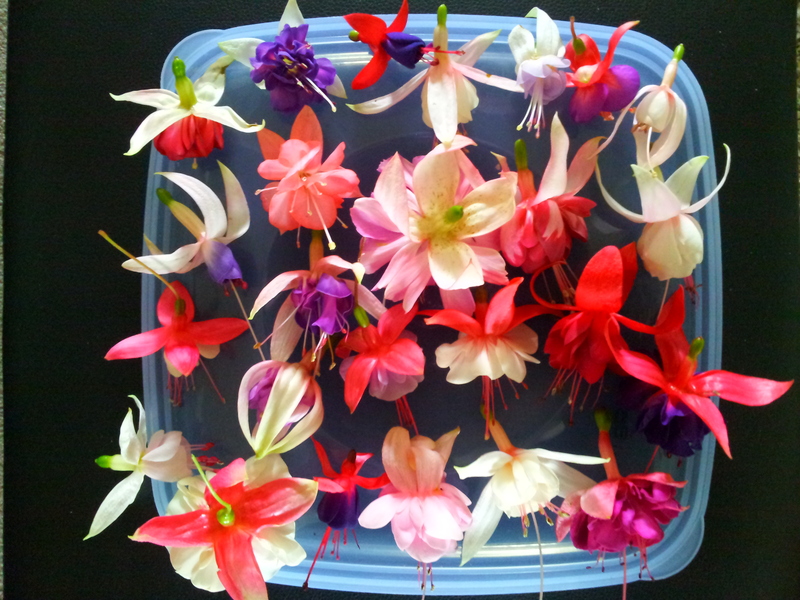 Fuchsia “Jam Roll” Double: 8 or more petals. Sepals and Corolla ruby red. Large flower. Afternoon Sun tolerant variety.